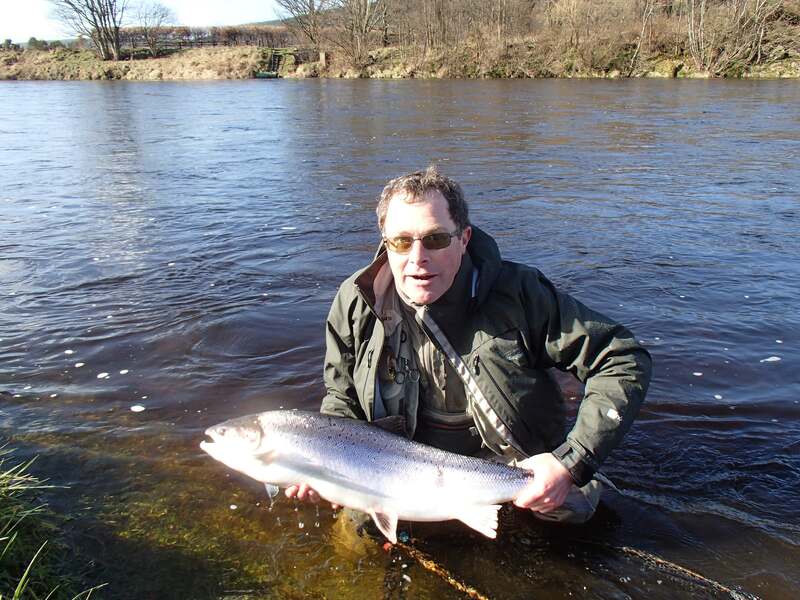 After 40 years of sea trout fishing I caught my earliest ever sea trout on Tuesday 13 May. I was plugging for bass in the Menai Straits when I hooked a lovely 4lb sea trout at dusk. Great fight on a light 8' rod, jumped out the water a couple of times and generally fought well on the surface. Followed by a 1.5lb bass for me while another angler had a 6lb bass. It's not fly fishing Jim, but it's darn good fun. My earliest sea trout before this was probably first week of June. Thats a guid Sea Troot to open your account with John, well done. Johnnyboy you da man, you da daddy man. Excellent result with the fish. Here's to a Bobby Dazzler of a season for you. Thanks guys and here's hoping for a good sea trout season for all aficionados. I fished the Lower Eden yesterday morning and the best that I could muster was some sunburn. I fished the Upper Eden yesterday evening and the best that could muster was insect bites. A veritable glutton for punishment I dropped onto the Lune on the way home and stayed till 2.30am this morning. Alas I did not sight or hear a single fish. I did encounter a suicidal brown trout of about 1-1/2lbs that when hooked made a bolt directly for my left wading boot. It was however absolutely fantastic to be out on a warm night. I don't wish to sound all a bit soppy but a day or a nights fishing is as magical today as the very first time I even went out and tried it. Yes I can relate and sympathise with your last sentence Spatey, been there many times after sea trout fishing. Thought I'd got over the night fishing bug to be honest - until I discovered bass fishing is a lot more productive in the dark! Only reason I took up the bass fishing in the first place was for something to do in fine weather when the rivers were too low for daytime salmon fishing!